Featuring rare, out-of-print and previously unpublished stories. This book has been edited by Keith Curtis and Susan Chandler and illustrated by one of Australia’s most talented science fiction artists – Nick Stathopoulos. Here are thirty classic science fiction stories spanning forty years of publishing, voyaging from the oceans of Earth to the Rim Worlds of space and beyond. The first edition of FROM SEA TO SHINING SEA by A. Bertram Chandler is limited to 500 copies printed on acid-free paper. The first major collection of science fiction short stories by A. Bertram Chandler. This collection features rare, out-of-print and previously unpublished stories. It has been edited by Keith Curtis and Susan Chandler and illustrated by one of Australia’s most talented science fiction artists – Nick Stathopoulos. Here are thirty classic science fiction stories spanning forty years of publishing, voyaging from the oceans of Earth to the Rim Worlds of space and beyond. 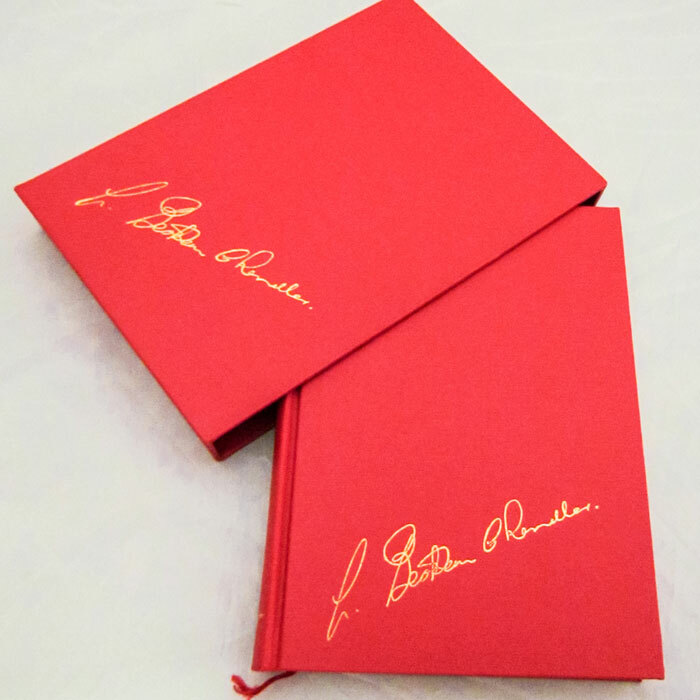 100 copies number 1 – 100 comprising the Collectors’ Edition have been specially bound and boxed in ensign red cloth with gold impressed lettering and signed by the editors and the artist. 400 copies numbered 101-500 comprising the Numbered Edition have been bound in navy blue cloth with silver impressed lettering. The Slip Case numbered 11 or more is a Collectors’ Edition that has been specially bound and boxed in ensign red cloth with gold impressed lettering and signed by the editors and the artist.